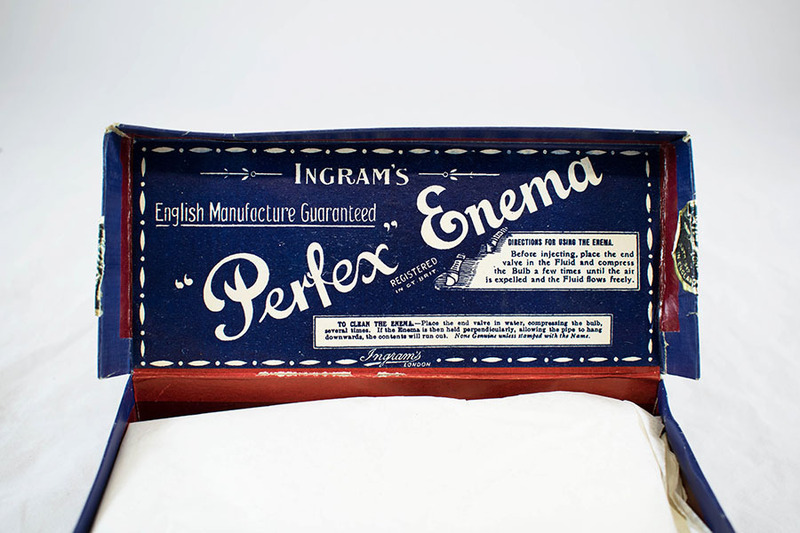 Ingram's "Perfex" enema comprises an enema syringe, an enema syringe with pipe and a red rubber tube. 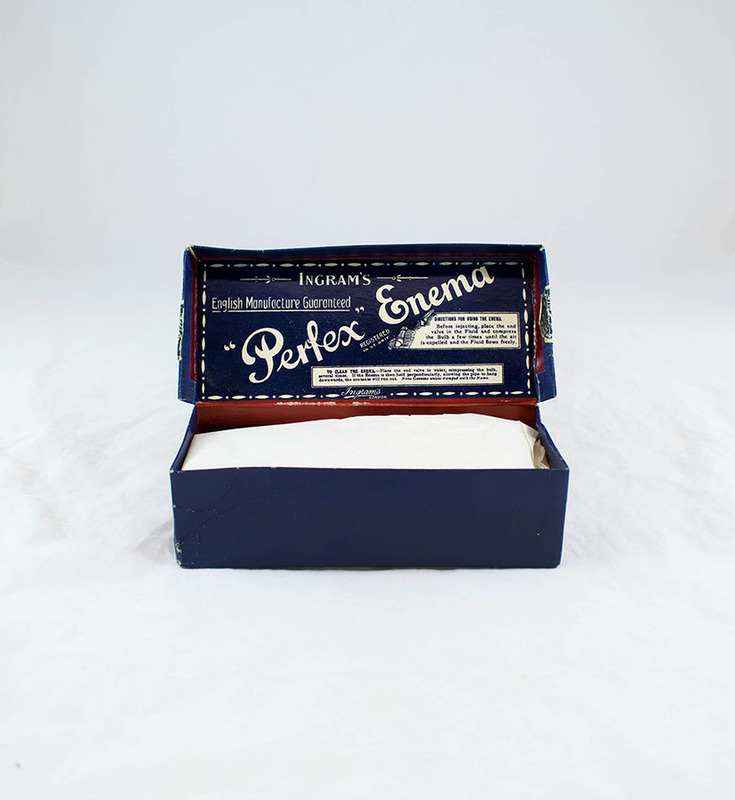 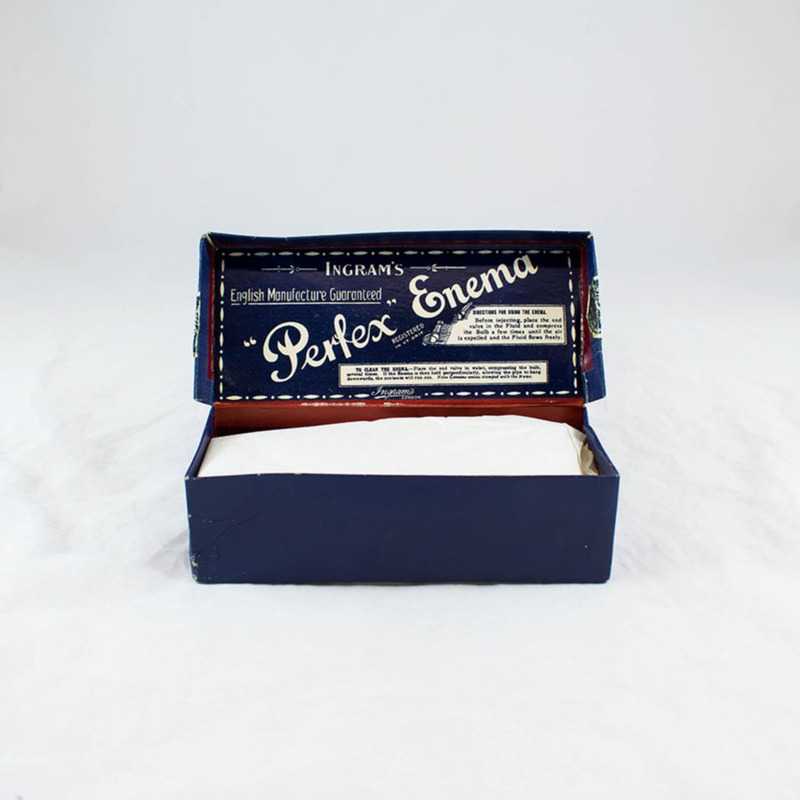 “Ingram's "Perfex" Enema,” Heritage, accessed April 23, 2019, https://heritage.rcpsg.ac.uk/items/show/651. 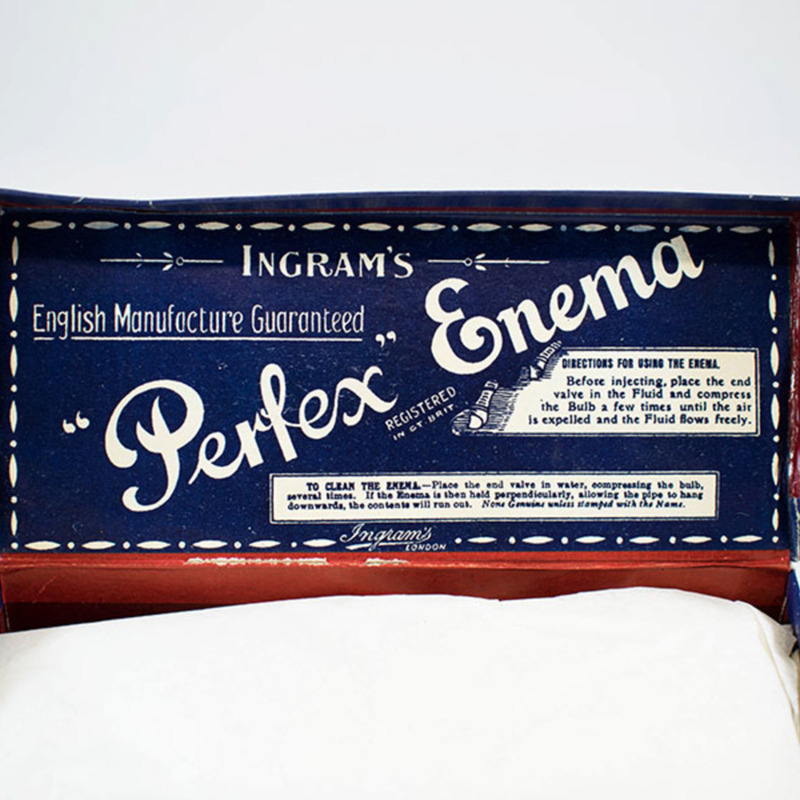 Description: Ingram's "Perfex" enema comprises an enema syringe, an enema syringe with pipe and a red rubber tube.